GE Marine design and build gensets used for continuous and standby power. These advanced engines are not only dependable, long lasting and efficient; they also perform in the world’s most challenging environments. The stationary genset product line includes generator drive engines, unenclosed gensets and gensets in walk-in enclosures. 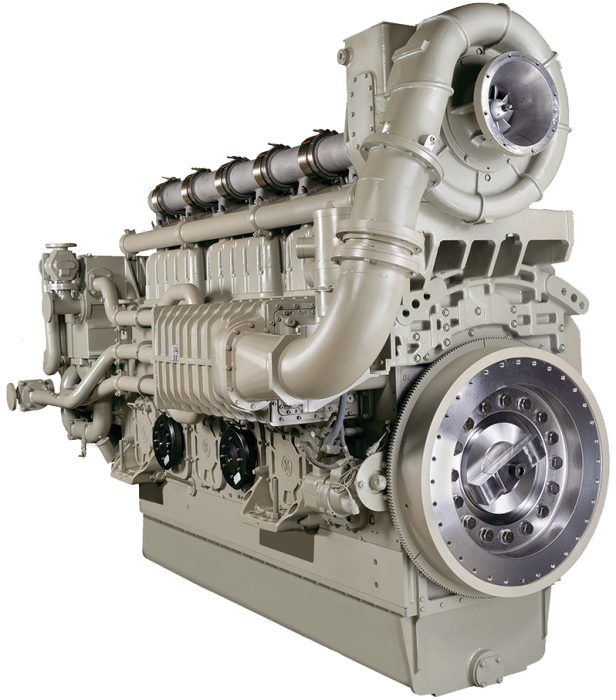 Powering these products are the reliable V228 and L250 and V250 engines offering high fuel efficiency and low life-cycle costs. Power solutions range from 1,256 ekW to 4,487 ekW.